The planks of that sun-soaked deck, that old paddle boat down by the pond and the smooth stones by the shore aren't the only things that get character after a bit of weathering during the season. 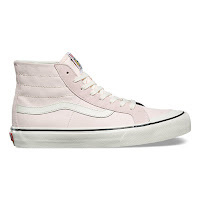 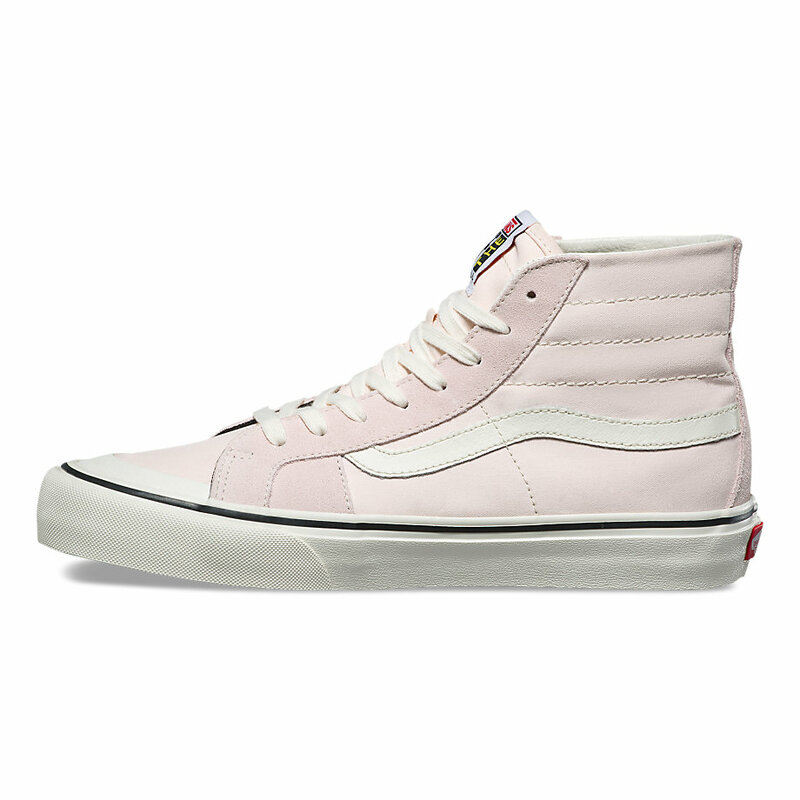 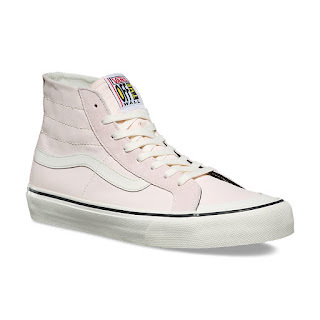 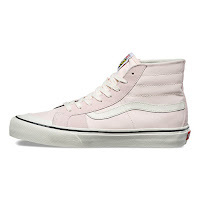 This Vans Salt Wash Sk8-Hi 138 Decon Sf Sneaker has appropriately achieved the slightest kiss of what the brand is calling 'Heavenly Pink Marshmallow'. 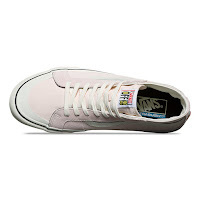 The slight nuance of color works wonderfully against white and pulls up a nice washed out pastel seasonal palette that evokes familiar tones of the season on this classic Americana staple. 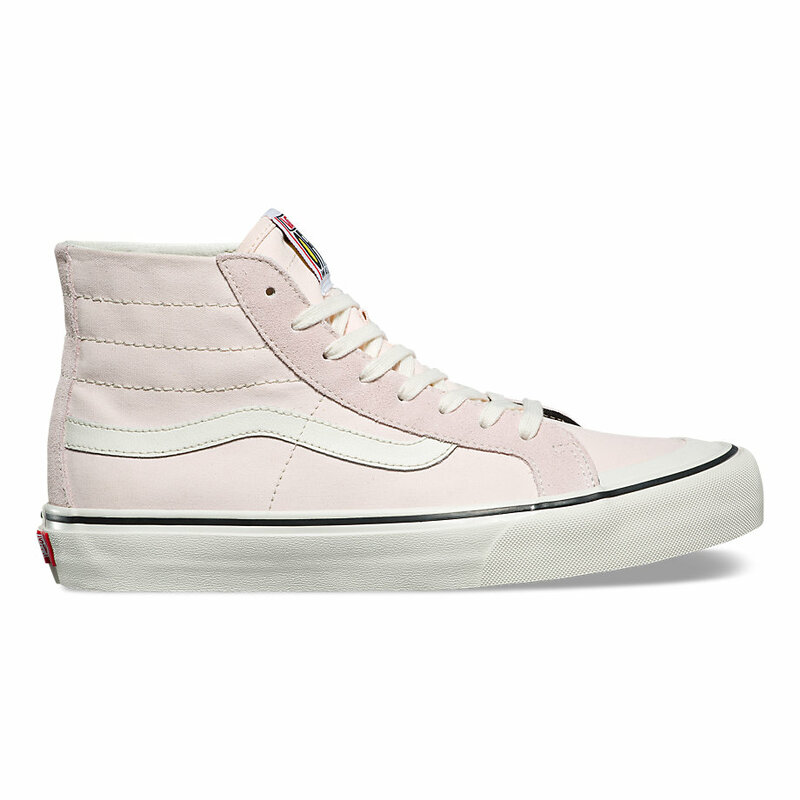 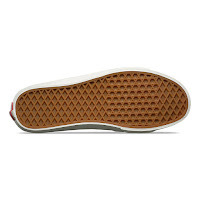 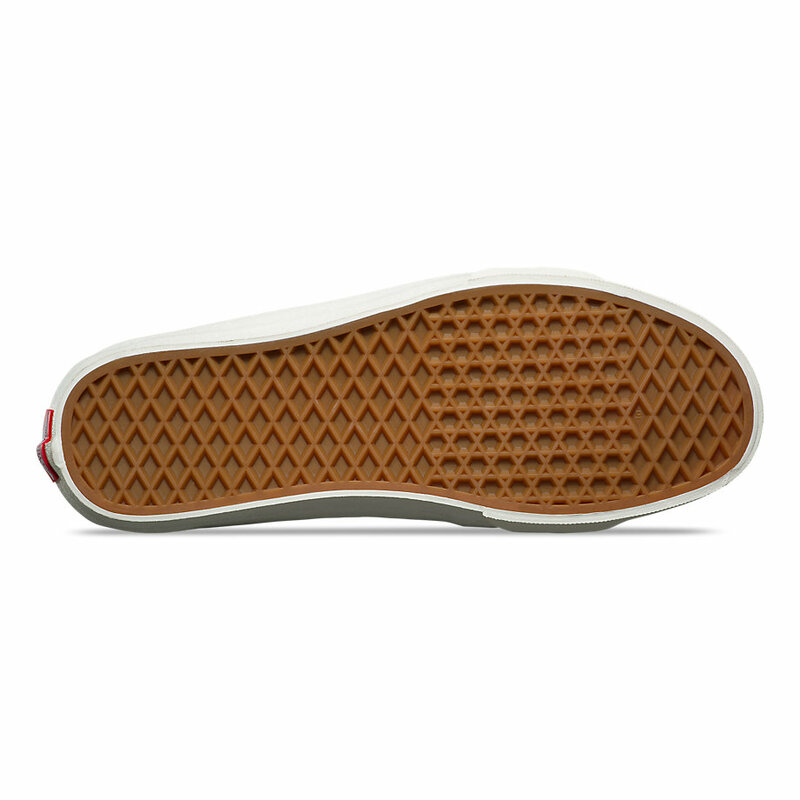 Available now at Vans.com.